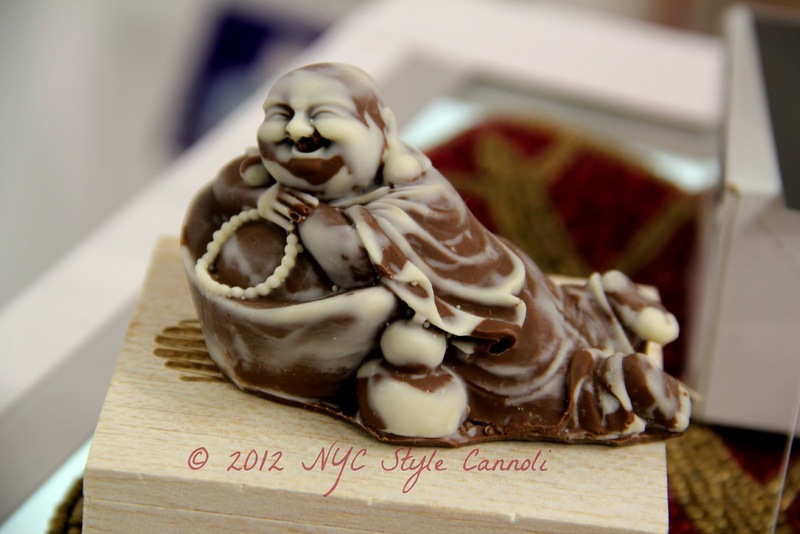 Photo Gallery Tuesday " Chocolate Buddha"
An adorable Chocolate Buddha made my day at the 2012 Chocolate Show a few weeks ago. I am not sure how I would go about eating him, but I am sure eventually I would just have to do it! More from my visit to the Chocolate Show very soon! Here is to a fabulous Tuesday!! That is so amusing. I agree with you. It will be hard to eat a smiling chocolate Buddha.